Do you want to connect with ocean of professionals and business expert or be in touch with people who are expert in your field or search for best job in your field? 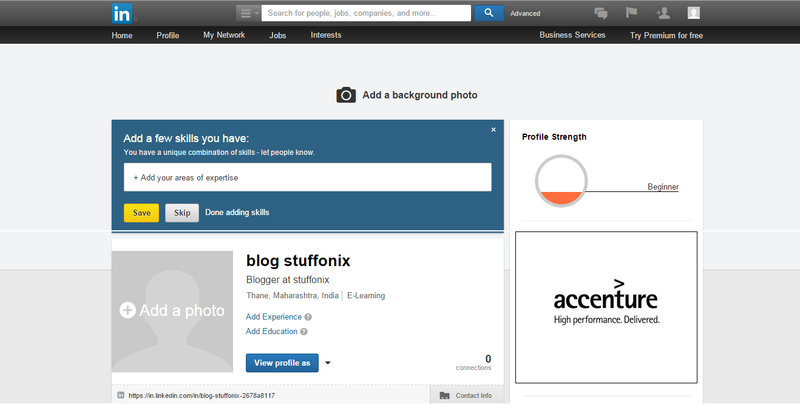 If you are then Linkedin are the best platform and you are also at correct platform to learn how to use Linkedin. World’s largest professional social network that connect more than 400 million members in 200 countries and territories around the globe. 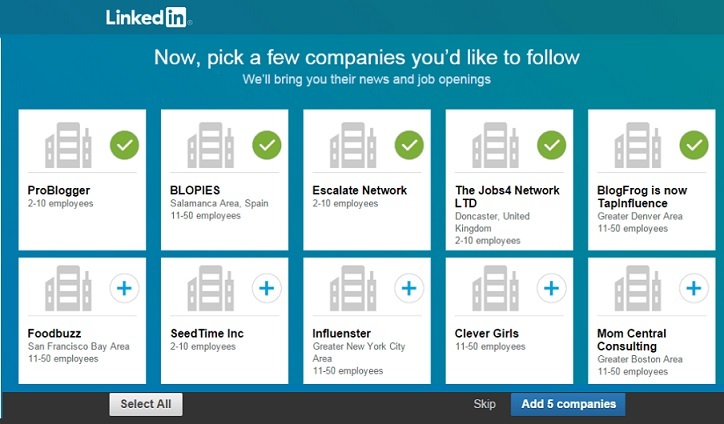 Linkedin is the third most popular social networking website in the world. Now surely you also want to be part of this social network and reach out to more and more people. 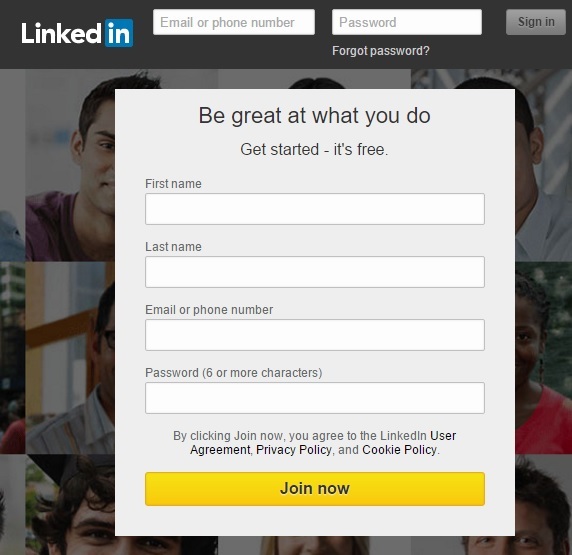 So Here we will give you guide of how to use linkedin platform more effectively. 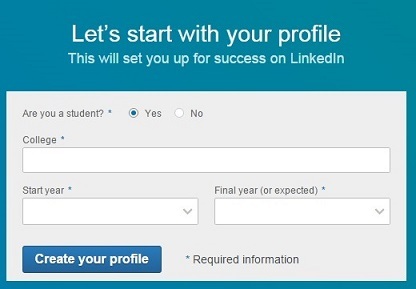 Step 1:- First go to linkedin.com and fill all required information as below and click on Join Now. Step 2- Now select your country (by default it get selected) and provide your area postal code. Click on Next button. Now on next screen ask whether you are student or not .If you are student then you need to fill college and start-end year like below. 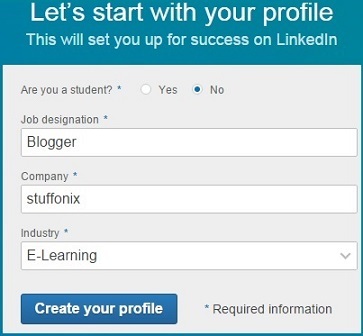 If you are not student then just fill information like job designation, company..and click on create your profile. I am here filling job designation and company..as below. Select whatever you are interested for but I am hear selecting Not sure yet .I’m open! then you can choose to import contact by providing your email . 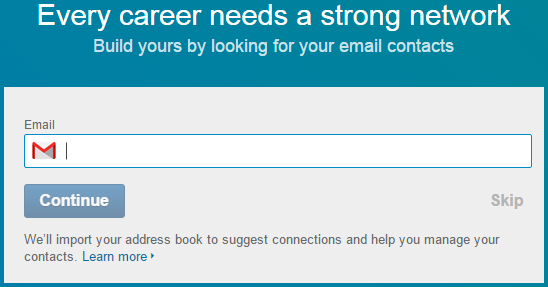 Then confirm your email and if you did not get any mail related to linkedin then just click on send another email. Next you can pick any company which you want to follow..here you can follow all companies showing by just by click on select all at left bottom side or you can even skip. Then select what you are interested for and want to follow them like technology, marketing, education,social media and many more. You can select all or skip this process. Then escape next screen by click on skip link, if you don’t want to install linkedin app…if you want then provide your mobile number so linkedin send you message to download app..Here I am skipping this process . Yepp!!! You are in!! Now you can see your profile created successfully as below..
Once your profile get created then you need to make changes so it become your brand and market you in this ocean of professional people. Firstly we are going to change image of our profile.So click on add photo as below. you can check strength of your profile by checking right side box with name “profile strength”. There are five level of strength as illustrate below. 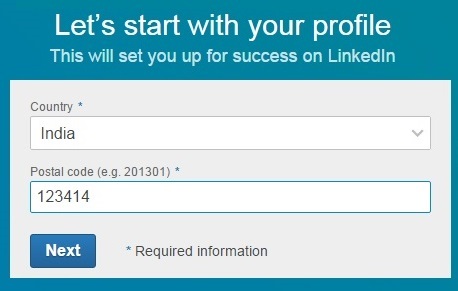 Now next step to update your profile that show your professional image to people . So in order to do that please select profile tab and click on edit profile as below. 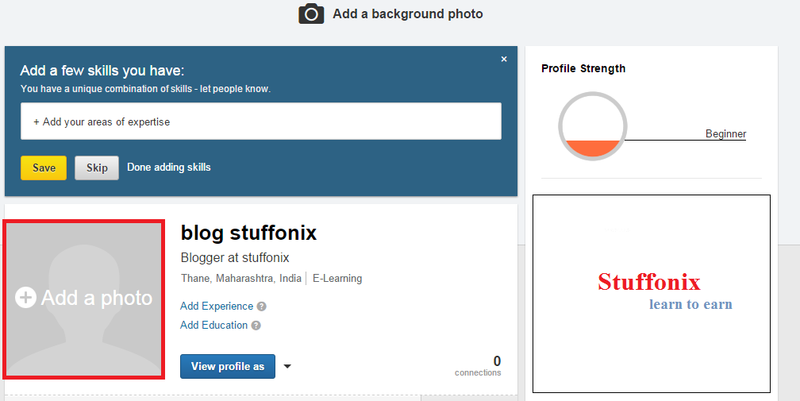 Once you open edit profile page then initially summarize yourself and your objective that help to get 10 times more profile view. Now Time to provide information about your education and experience by scroll down profile and fill all information as below. Fill as many field as possible and make sure your spelling and grammar should be correct. Now add more information like skill set, course, certification,patent, projects,publication, personal detail and many more so chance to get your profile in search increase. 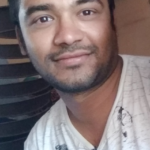 Note- Get involve with more and more profile, join groups, taking part in group discussion so you can connect easily..Update your profile regularly with your current position and location . Have a great professional life ahead!!. 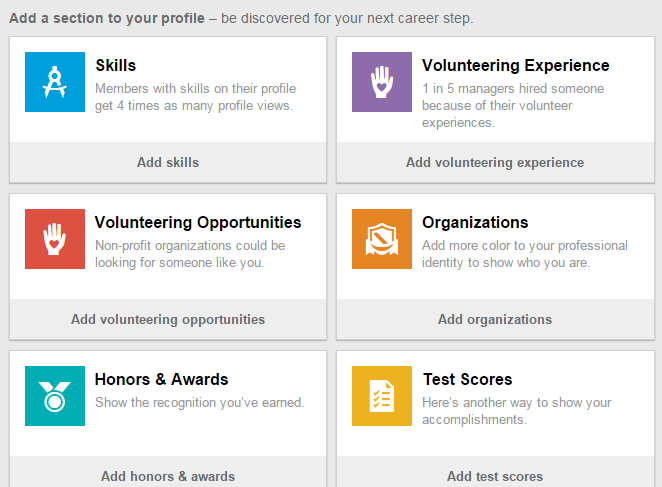 Hope you like this blog post and now know how to use linkedin and setup profile. Even if you need any help then you can write us in comment. A big thanks for reading .